One of the things I love about life is the ability to travel. The world is such a big and interesting place. For me, travel is a way to escape but more importantly a way to learn and digest other cultures. Speaking of digesting, food and drink are important to every culture on this planet. Whenever I travel, I like to partake in the local flavors. This curiosity gives me a taste of what the local people eat and drink so that I can experience a piece of their customs and culture. Buying power; one of the key components in today’s financial world. It is almost impossible to live in our modern society without utilizing credit in some shape, form, or fashion. Your credit (buying power) is as vital as your ability to generate income. “Doctor, Keith E. Cradle…” When the proclamation was made and I walked across the stage January 20 in Tampa, Florida, I searched for my family in the crowd and I created the widest smile possible. My journey to doctoral status was complete. 4 years and one dissertation later, I now had my terminal degree. Which essentially means there’s no need for me to head back to school. Unless I want to sign up for classes and keep that in-school deferment. Because, Navient be calling. Spring! Is that you? Perhaps. Maybe. According to the calendar, yes. But with this weather and some form of global warming it’s hard to tell. However, the months that encompass spring and summer are upon us which bring warmer temps. And BBQs. And beach weather. And cool drinks. If you are like me, that still means wine [wine all year around for me] and what a better way to break the habit of red wine than with white wine. Crafted With Cradle: We Pop Champagne [Sham-peyn]! 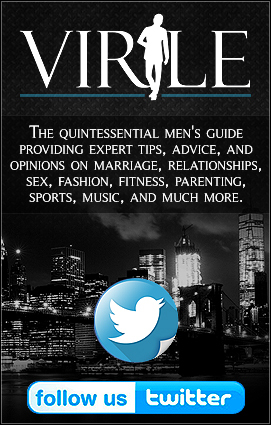 Today is a very special day given it is birthday of the Founder/CEO of Virile! While he likes to be behind the scenes and somewhat anonymous [hence the reason I am not giving out his government name], it is a joyous day and one that needs to be celebrated. This website would not exist if not for his creativity and ideation of making it a reality.